The A8-7670K can certainly cope with basic computing and some simple gaming, but this chip is relatively dear for what it is, and it's really more for laptop users. Let us tell you about the experience we had reviewing AMD's A8-7670K APU. It came in a tiny little white box. Presumably not the retail packaging. God, let's hope not. 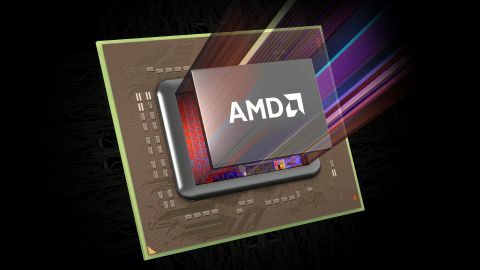 Though judging by AMD's lack of marketing share, this could be the real deal. It's not possible to tell whether the 7670K went to another reviewer before us. Anyway, after setting up our standard test platform, we installed the chipset and began our preliminary testing. Overall, the processor has a total of two computational cores, providing four threads. Say what you like about compute cores, AMD, but Prime95 and Cinebench don't lie to us, and this processor is quite the slow processor. Unfortunately, with 60% of the CPU taken up by the graphical side of things, the overall performance in these applications is still quite limited. That explains why, even though the 7670K clocks an average of 3.6GHz at max, we achieved some pretty mediocre benchmarks when it came to computational tasks. In fact, we left it to complete our 30GB archive test, but after taking 30 minutes to complete 49%, we ﬁgured it would be a better use of our time to stop the process and continue with our other benchmarks instead. So began the task of installing the Nvidia GeForce GTX 980 (which we use on all of our standardised reviews) alongside AMD's latest offering. We throw the card in. It boots, freezes, then black screens. And won't pick up the display under any other circumstance. Why are we bringing this up? Well, this is all part of the user experience. You'll hear people mention how you're meant to drop as much money as you can into the GPU and not the CPU. But perhaps you decided to take an entry-level Nvidia GPU with your cheap-as chips AMD processor. In which case, you may very well face these same problems we're facing here. It's unfortunate, but we push on, now only being able to complete a moderate portion of our benchmarks. The biggest problem here is the fact this is still a processor based off an almost ﬁve-year-old architecture. It's only 28nm. It has limited SATA 6GB/s support – and continues to only support DDR3 up to 2,133MHz, even though it's the one platform that would beneﬁt the most from those increased memory speeds. The list goes on. Intel may only be upping performance by 10% every year or so, but the most vital thing it's including is chipset updates. This forces manufacturers to update their mobos, and in turn provide extra expansion, storage options and more modern features. Hell, it's worth it if only for the design reboots a lot of these boards get. In gaming, the situation isn't much better. Yes, you can run titles like Dota 2 at acceptable frame rates at 1080p (if 20-30fps is acceptable to you), but unless you're only playing simple games and MOBAs, you're not going to get much joy from it. For comparison, in Shadow of Mordor it achieved an average frame rate of just 4fps at 1080p. A GTX 950 managed an average of 33fps.